Scraps of paper can be worth their weight in gold and one Belfast Celtic fan's personal archive has yielded rich treasures. Harry Spence was from the Falls Road and for years followed the fortunes of the Belfast 'Stripes'. During the 1940's, he lovingly collected newspaper clippings on a range of issues to add to the family scrapbook and high on his agenda was the sporting excellence of Belfast Celtic, under the direction of the masterful Elisha Scott. Now this archive has been brought to life with the help of Harry's son Aidan who has built a wondeful website to host the content of his father's scrapbook for new generations to explore. Aidan said; "My father was a Celtic fan in his youth and he rarely missed a game. He was also at Windsor Park for the fateful game in 1948 the made Celtic withdraw from football. The events of that day affected him greatly and as a result, he actually turned his back on soccer altogether and for many years was radically opposed to the sport. The scrapbook was started at the turn of the century by my Dad's uncle Harry McKeown, before being handed down to my Dad." 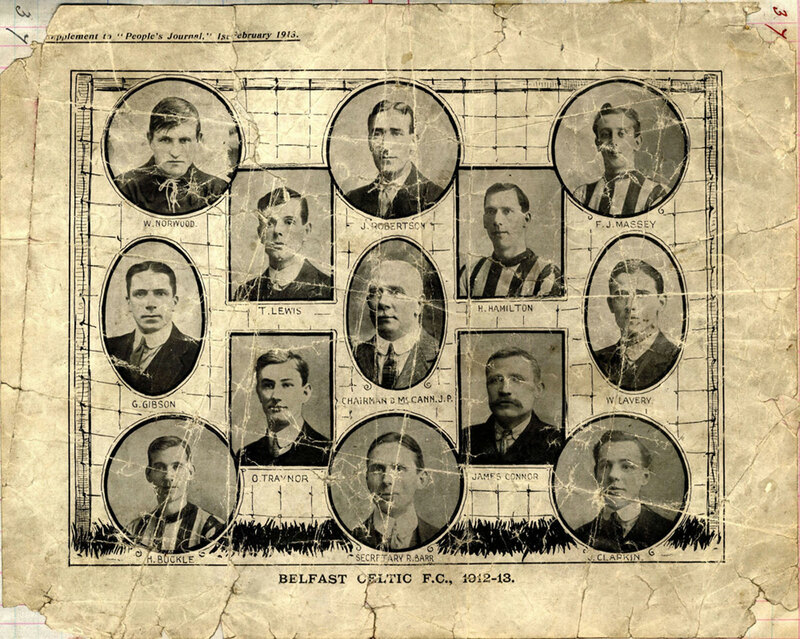 The family clippings archive remains intact and offers a fascinating snapshot of a Belfast Celtic team that was felling all before it in local football. There is also content on the Glasgow cousins, with Jimmy McGrory and Jimmy Quinn featuring prominently, proving that the fortunes of the other Celtic were followed closely in Belfast homes. Harry's own family were steeped in sporting excellence. His uncles Harry and Jackie McKeown played for Derry Celtic and Distillery, with one of them even capped at international level. For Harry Spence though, his passion was gaelic sports and he was a firm fixture in the Gael Uladh club, based in the Falls. Sitting alongside the cuttings of Belfast Celtic are the fortunes of the Antrim hurlers, who in 1943 met Cork in the All-Ireland final, where the legendary Christy Ring inspired the rebels to victory. Politics also features prominently and clippings marking the death of west Belfast Nationalist MP Joe Devlin provide a fascinating glimpse of the profile of the man, who died in 1934. Devlin was very close to the board members of Belfast Celtic and was partly responsible for the visit of Winston Churchill to Celtic Park in 1912 to address a political rally on Home Rule for Ireland. Anyone interested in history or sport will find it very easy to lose a few hours browsing Harry Spence's scrap book. You can visit Harry Spences' magnificent archive here.